Wow, that’s another workshop done and dusted – tiring for us Rovers for sure, but we are glad to have the opportunity to contribute to the development of so many of the Western Capes 10-year-olds! A very rewarding experience for everyone involved! This marked our largest Leaping Wolf event so far, with 20 Cubs attending from far and wide – Belvedere, Bothasig, Durbanville, Edgemead, Kenridge, Milnerton and Table View. 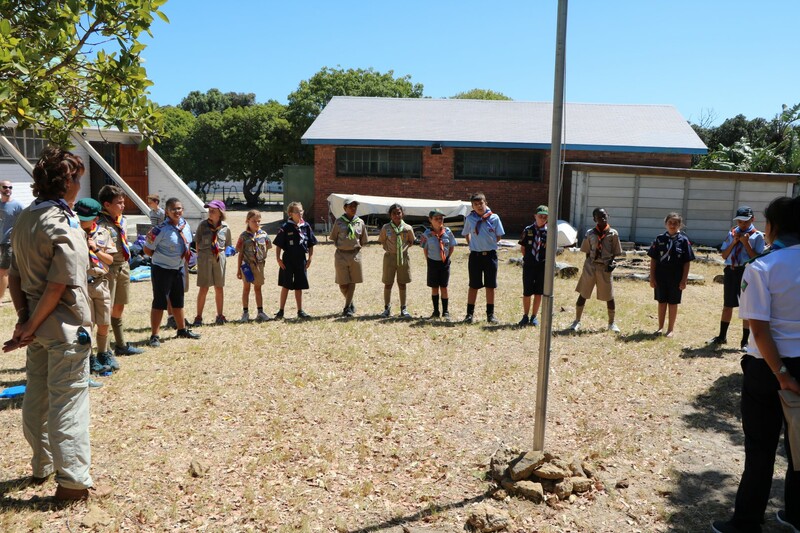 The weekend would be spent with these Cubs working through the final requirements of their Leaping Wolf badges with our team of adult volunteers made up of the Table Bay Rovers and Pack Scouters from 1st Belvedere and 1st Table View. 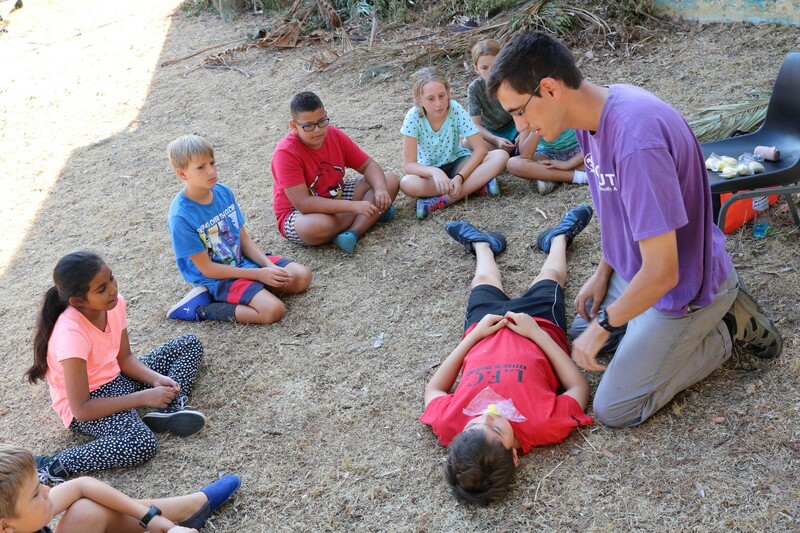 Staying true to tradition – Friday night was spent having fun, with activities planned to get the Cubs to meet each other and make new friends and get comfortable with the volunteer team. With their new buddies, Cubs were given their first task: construct a survival shelter which they would sleep in for the weekend. High enthusiasm levels were not dampened by the winds that would later prove quite a challenge to deal with. But, with perseverance, and a few tricks of the trade taught by our experienced Rovers, these shelters were soundly constructed. Cubs would soon be learning a valuable lesson: that these low-roofed shelters can be far warmer and cozier than a big tent. Cubs then moved inside the Rover Den and were taught about typing various knots that would be useful throughout the weekend, and going forward in their Scouting careers. To add interest, Cubs would attach final versions of their knots, tied using colourful ropes, to a board for display purposes that could be used to show their parents and packs what they had learned. The Cubs were then given their own ‘yellow cards’, in which we would be recording all the activities they completed towards their badges. Once the activities were done for the night, the Rovers prepared hot chocolate and popcorn for the kids who were allowed to watch a movie, before heading out to their shelters for a cozy nights sleep. Bright and early the next morning, Cubs were up – and it was time to prepare breakfast. 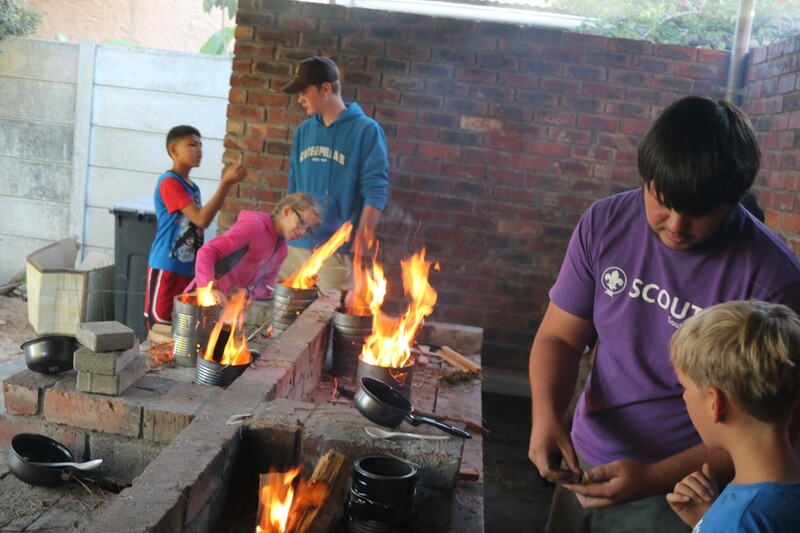 Cubs would be learning some fire safety (especially important in dry and dusty Cape Town) and then lighting their own fires in conservation stoves for them to cook on. Each Cub was given their own pot and ingredients and taught how to make lovely fluffy scrambled eggs and toast on their fires, and these turned out awesomely! After cleaning up, we all moved back indoors where the kids were taught about the items that are important in a personal first aid kit, and then had to construct their own one. Then, using these kits the Cubs took part in a few emergency simulations to learn how to handle themselves when presented with a person in need – of course being 10-year-olds they also needed to learn their own limitations and when to summon adult help. These simulations included resuscitating a person who appeared to have stopped breathing, handling a person who caught fire, dealing with a nose-bleed and dealing with a broken arm. 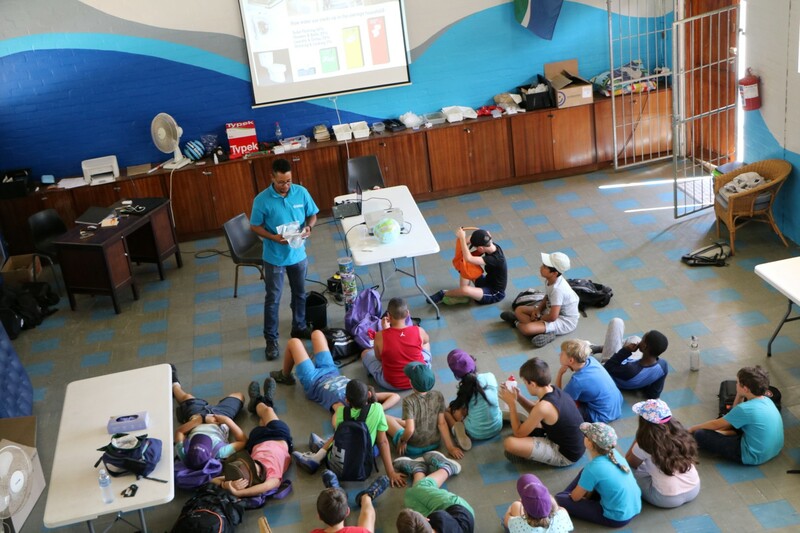 With these first aid skills out of the way, we were visited by the outreach team of the Two Oceans Aquarium, who taught the kids a valuable lesson in understanding the impact that out lifestyles have on the world as a whole. 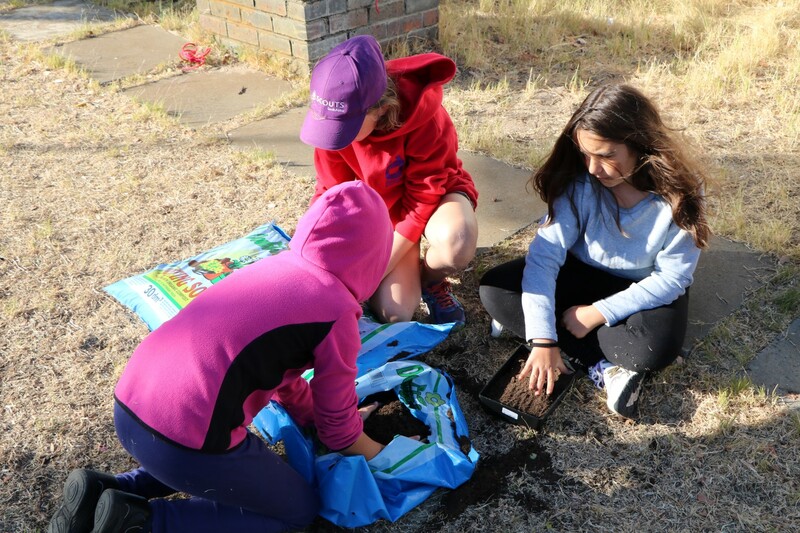 This included the importance of recycling, the interconnectivity of the earth systems and sustainable practices they could carry out at home. When this presentation was over, it was time to get ready for our day outing in nature. 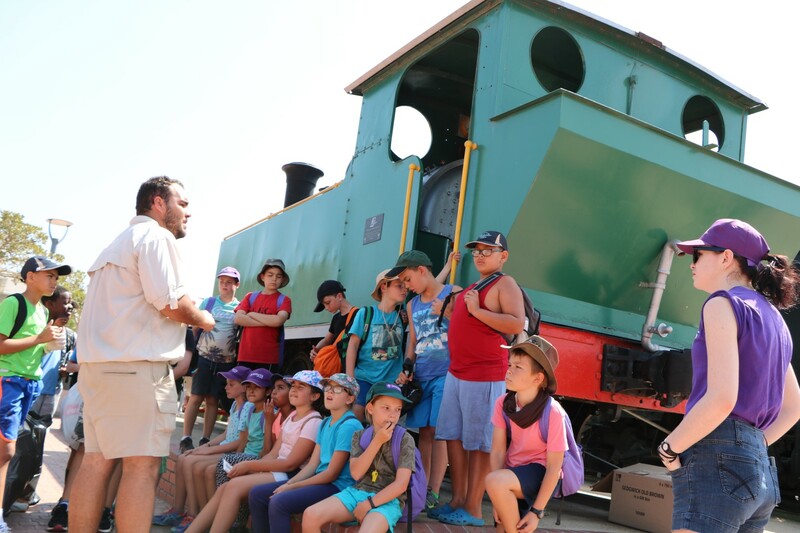 To prepare for this the Cubs were taught a variety of essential information, from how to pack a hiking bag and what items to bring, to identifying poisonous snakes and how to handle potential emergencies such as rock falls, getting lost or flash floods. We then got loaded into the vehicles and headed off to Intaka Island. 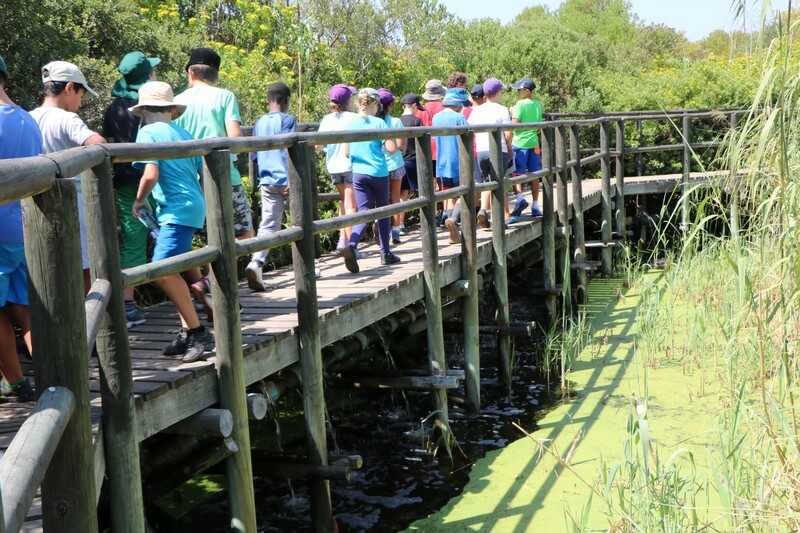 At Intaka Island we were greeted by friendly staff and educators who proceeded to take the kids into their environmental classroom, where they learned about food chains and humans role in that system and were exposed to an integrated aquaponics system.. 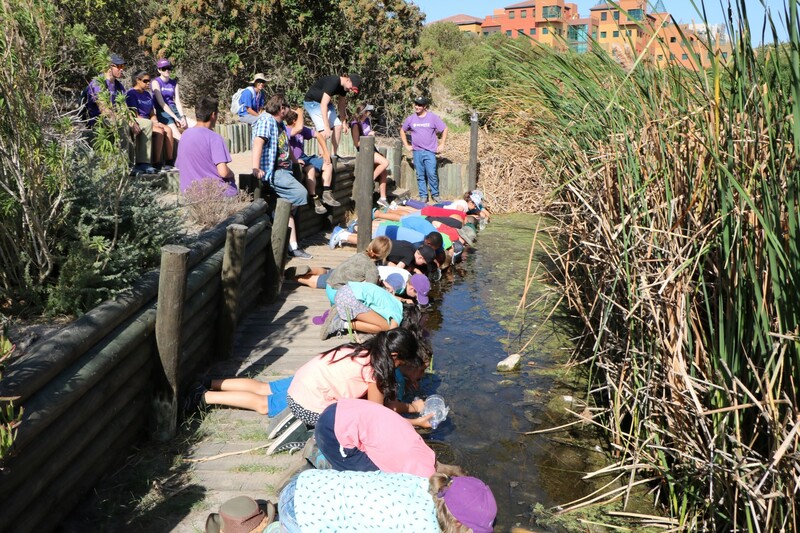 They were also taught about the value of water conservation and the fragility of wetland ecosystems and how wetlands play an valuable role in recycling water back into nature. After a quick lunch, Cubs were back in the outdoors following a combination of old- school trail signs and a compass trail to take them all over the island and explore some of natures sights and sounds. Using recyclable materials, such as 2L Coke bottles, the Cubs then made waterscopes to try and see life underwater in some of Intaka Islands canals and then finally moved on to learning about water purification and had to make their own water filters. 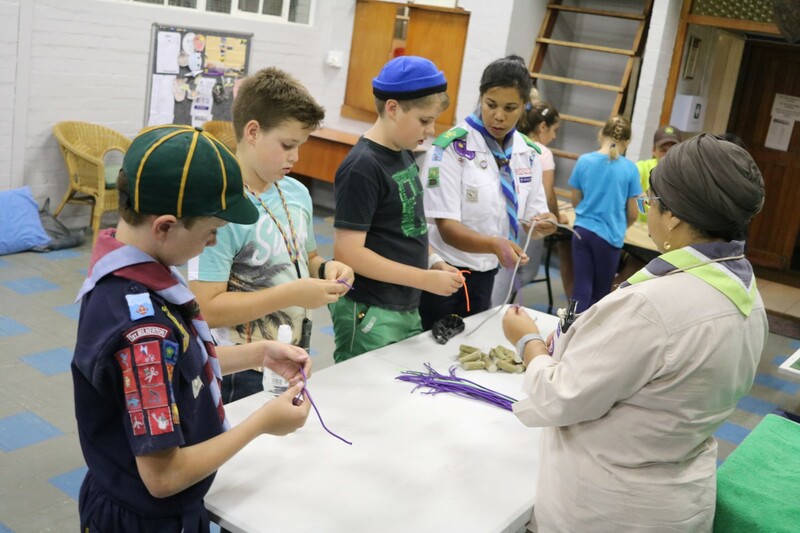 Back at the Den, Rovers got busy getting ready for supper, while the Cubs took part in a few quick activities like using bowlines to lift themselves up a pulley system, basic first aid and some life lessons such as the dangers of smoking and drinking. 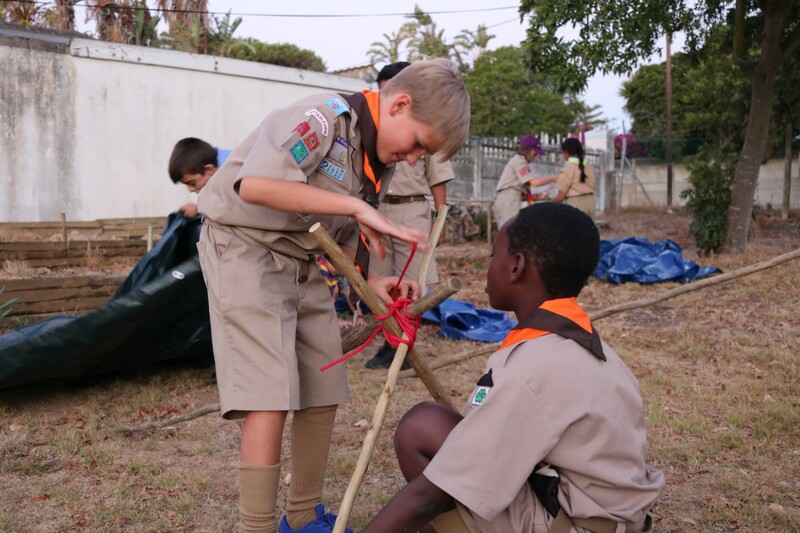 Cubs then all made their own fire-starters, using old egg cartons, newspaper and candle wax which were used to start up a braai. Each Cub then braai their own meat survival-style, no utensils or grid, just sticks. And got to enjoy these with rolls salad and a lovely dessert of malva pudding with custard. We then all got ready for our evening campfire – our biggest and most exciting one yet. Sunday morning bright and early the Cubs were up and it was time to get packed up and begin the events wind-down. Cubs ate a quick breakfast and then got to packing up their bags and taking down their shelters. After some morning exercises in using flags and catching up some of the unfinished knotting displays, it was time to work on the Food For Life badge. As Cape Town was in drought, and we did not want to be wasteful on planting veggies in our community garden which we could not water, so instead we worked with the Cubs to make their own small seed boxes which they could take home and that would grow into small herb gardens that they could work together with their parents on. We chose water-wise herbs that would tolerate greywater – perfect for growing on a kitchen windowsill. Cubs were sat down and taught some basics in map work and using street maps. Little did they know, they would be given a map and compass and in small groups would need to navigate down to the beach. 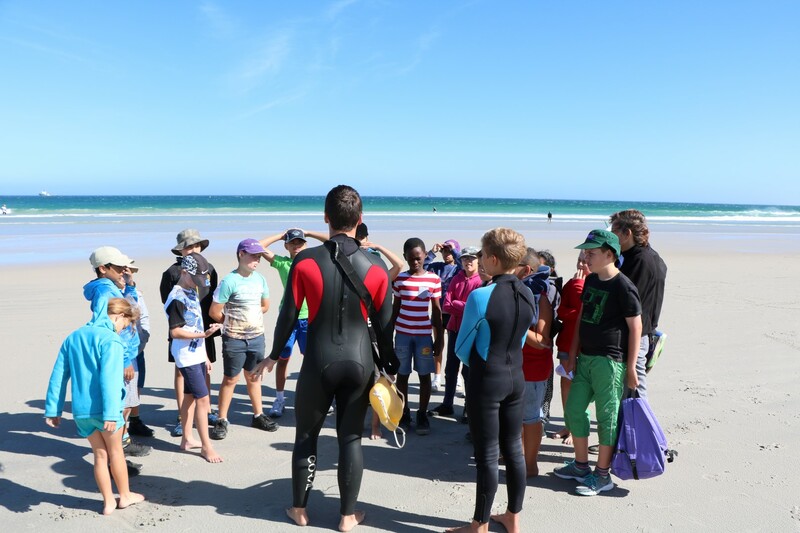 Adults tailed the kids from our Den to Milnerton Beach. Here the Cubs were greeted by the local lifeguards who demonstrated some of the essential lifesaving skills needed to revive a drowned person. Upon returning to the Den, the kids changed into their Uniforms and were served a lunch of macaroni and cheese, followed by cupcakes for dessert. One of the youngsters were celebrating their birthday, so we had a chance to sing and congratulate him. As parents arrived, and the event wound down, we gathered the Cubs to present them with their certificate of completion and congratulate them all for working so hard to get through all of these badges! We’d just like to thank all the volunteers that made this Leaping Wolf Cub Weekend possible. 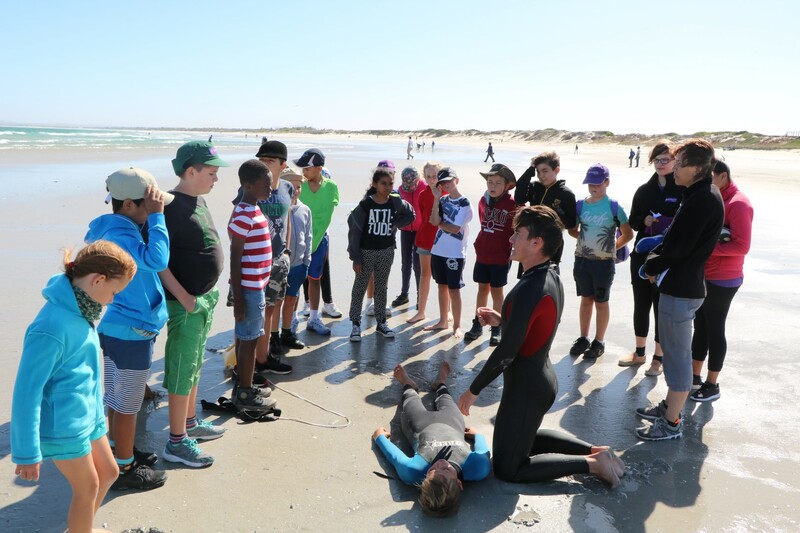 We’d also like to thank Intaka Island, Two Oceans Aquarium and Milnerton Lifesaving Club for being awesome and helping us out. Shanet, Sharon & Devon thanks for organizing the weekend. Also, big thanks to the parents who dropped off various snacks for our staff and Cubs – you fuelled this adventure! Lastly, thanks Peter, Devin, Nathan, Jandre, Giekmah, Denja, Wesley, Megan, Russell, Micaela, Harry, Matthew, Damon, Robyn, Ruxandra & Damian for all the time you put into assisting this weekend (and just for being awesome in general)! ← Planning an adult recruitment drive?